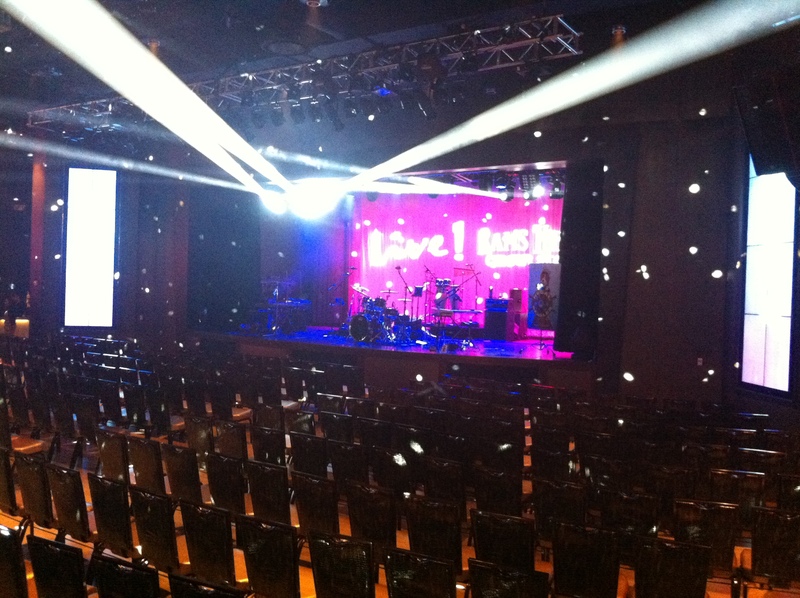 I love casinos and I love concerts, so I have been really excited about the opening of the new Rams Head Center Stage at Maryland Live Casino all summer! It is the closest Rams Head to my house, plus there is free parking. Now I don’t have to drive 45 minutes to Annapolis or 30 minutes to Baltimore City to see a great show at Rams Head. 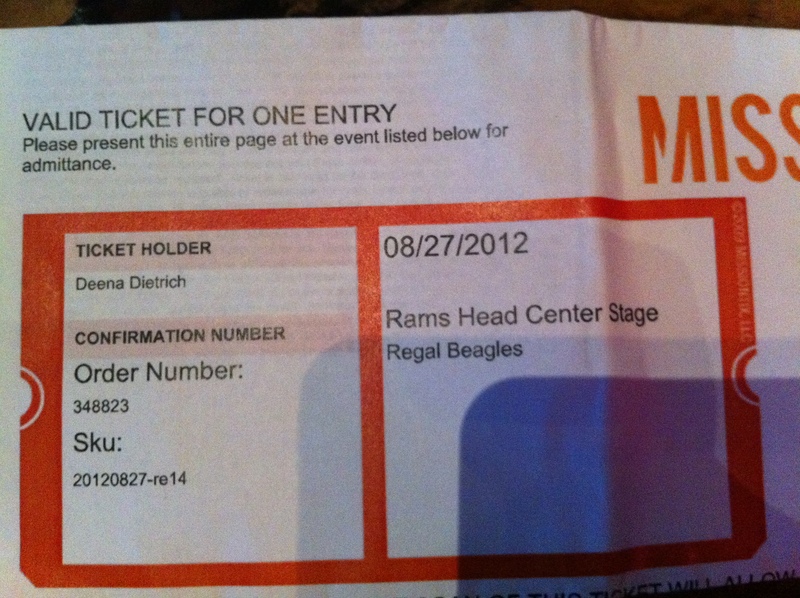 Two weeks ago I got free tickets to the Regal Beagles show at Rams Head Center Stage. 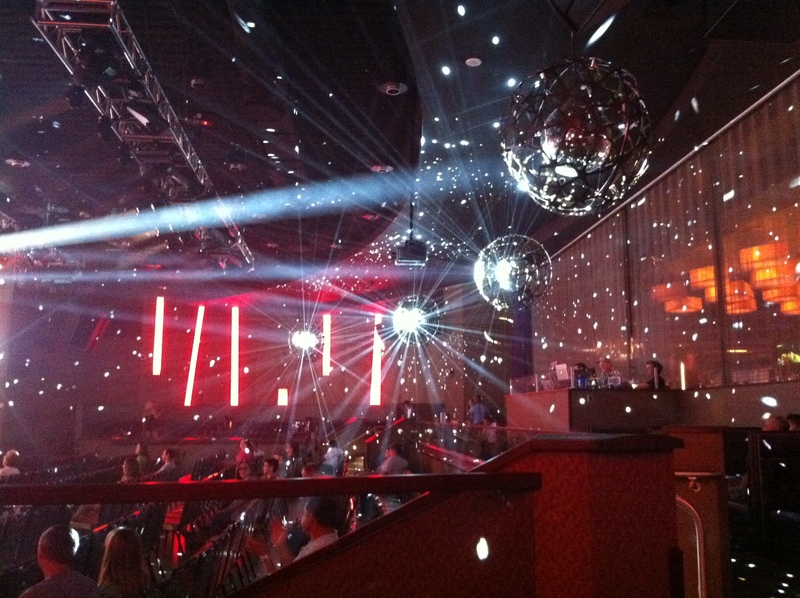 It was to be the first show ever at the new venue, a preview show. 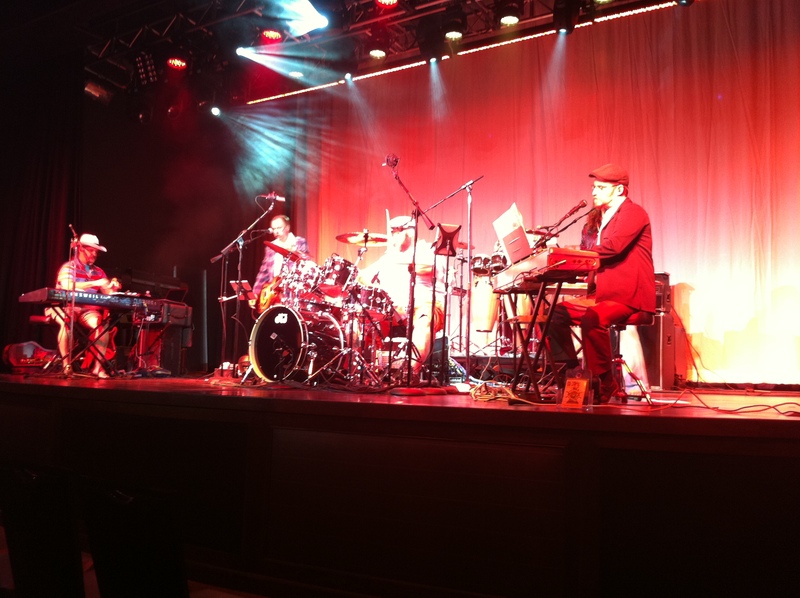 The official grand opening is August 31st with The Real Geniuses, and the next night there is a private show on August 30th with the Charlie Daniels Band for premium members of Maryland Live Casino. But I was going to be at the very first show ever at Rams Head Center Stage. My dad was also curious about the new venue (plus he likes free stuff) and my mom loves the slots, so we made it a family event. We had dinner at Bobby Flay’s restaurant Bobby’s Burger Palace at Maryland Live Casino. I highly recommend the Bobby Blue Burger that comes with lots of blue cheese and bacon – YUM! After dinner, we walked around to check out the new section of slot machines where the new Rams Head was. It was just about 7pm when the doors were supposed to open, but no one was going in yet. 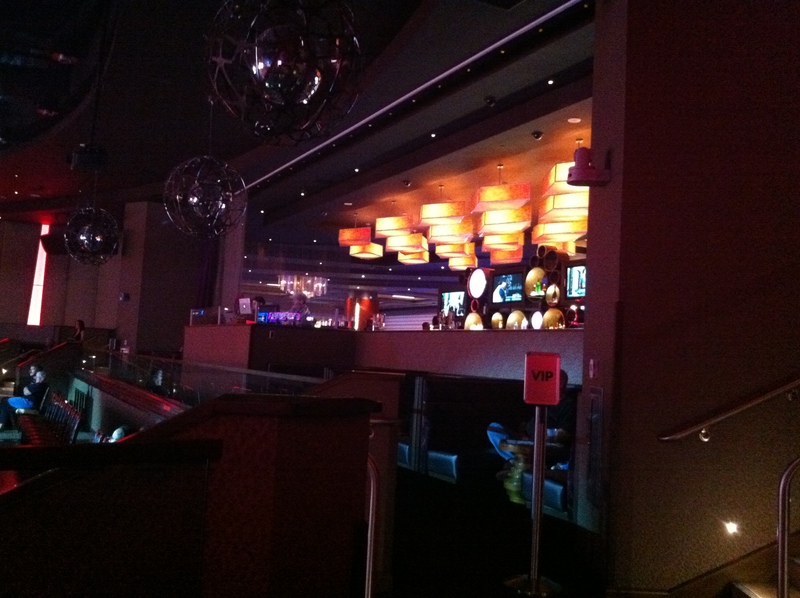 We could see into the venue from the casino – it’s right behind the Rams Head Bar. Since no one was inside yet, we decided to play the slots for a bit. Unfortunately I lost all my money. Just before 8pm when Regal Beagles were supposed to start, Dad and I went into Rams Head Center Stage while Mom continued to play the slots. I only had two tickets for the show, plus Mom would rather play the slots than listen to a concert. On the way inside I met Adam, the guy who I had been tweeting back and forth with about the opening. He put up with all of questions and was very nice about it. He told me the curtain behind Rams Head bar will be closed and no one will be able to see into the venue from the casino, but they will still be able to hear the music if they are right by the bar. There were only about 10 people inside when Regal Beagles started playing and only about 30 when we left after the first set. Rams Head Center Stage is a very intimate venue. 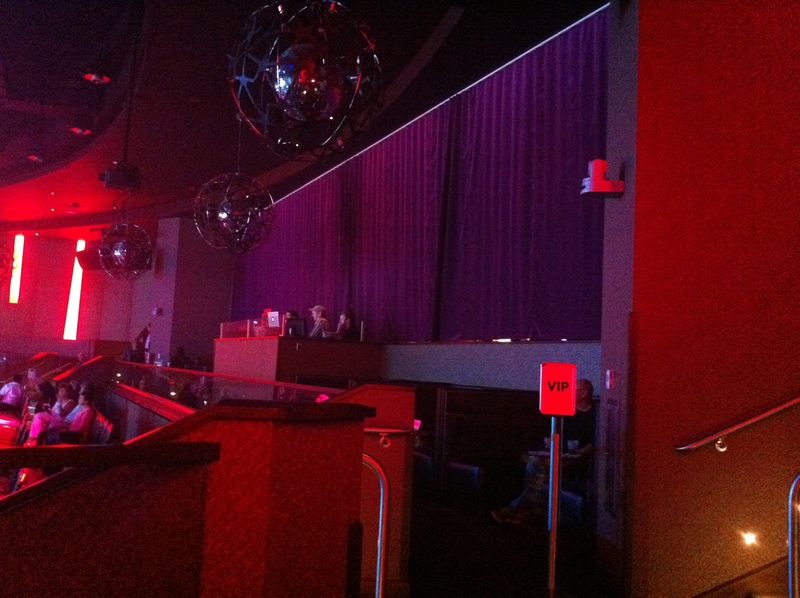 There are booths on the perimeter up top and seats on the floor. There is a bar on the floor to the left of the stage and waitresses bring you your drinks. Both the beer and wine is $5 each, but sorry Guinness fans there are no Stouts. There is also no food served, but there are plenty places to eat in the casino. The Regal Beagles played for three hours, but we left after the first hour. It was a Monday night after all. They are a great band. The bassist Dave DeMarco has a great voice, and the drummer Tom Moon is very good. Regal Beagles play what they call Yacht Rock, which is basically lite rock from the 1970s and 1980s. Their first set included such songs as the theme song from Three’s Company, Escape (The Pina Colada Song), Africa, and December 1963 (Oh What a Night). 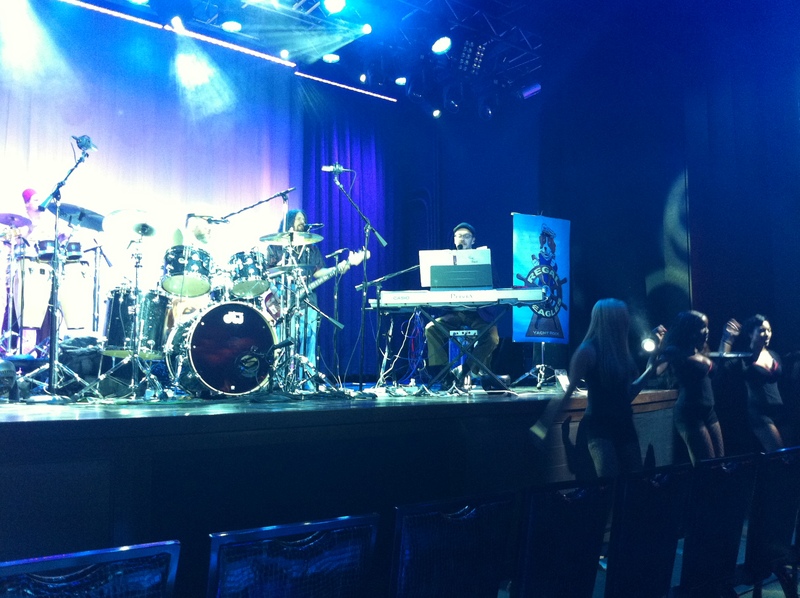 I loved the new Rams Head Center Stage at Maryland Live Casino and will definitely be going back. 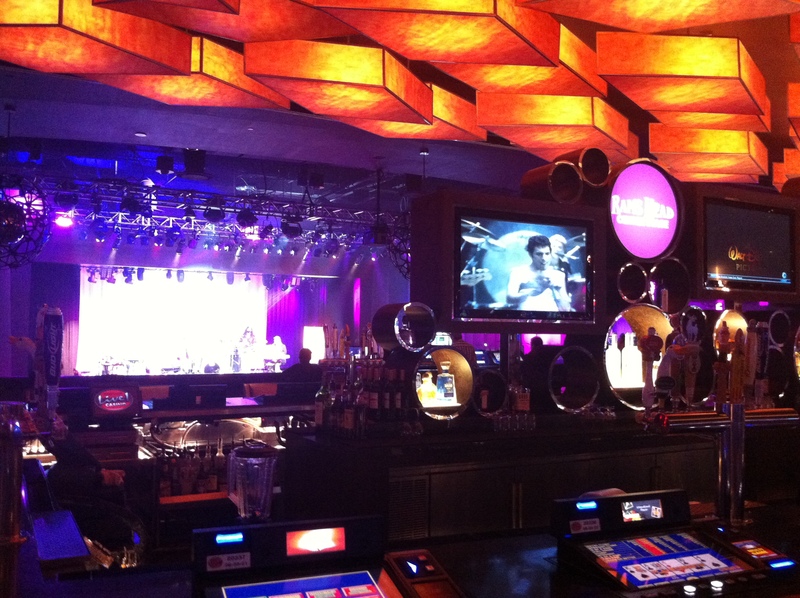 There aren’t many better ways I can think of to spend a night than playing slots and listening to great live music! They are open every night with a live band playing every night, with the exception of Monday Night Football each Monday during the NFL season. Thursday nights are 80s nights. I am really looking forward to the Patty Smyth / Scandal show on Thursday September 27th. Click here for the full September concert schedule.